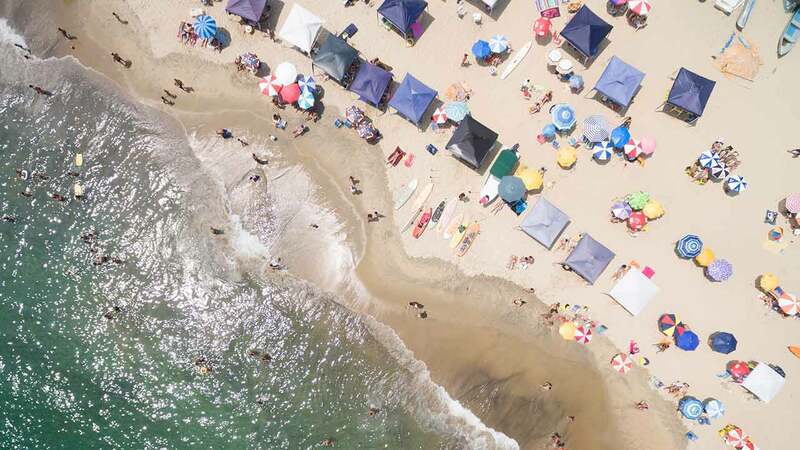 BELMAR, N.J. -- A New Jersey shore town is considering banning tents at the beach to alleviate crowding. The Asbury Park Press reports council members in Belmar introduced a resolution that would prohibit large tents and canopies from Memorial Day until Labor Day. Mayor Matt Doherty says he's received complaints from the Department of Public Works, police, life guards and patrons about tents that make crowding worse. Doherty says "beach spreading" not only adds to crowding but can also block a lifeguard's view of the water. According to the mayor, the resolution wouldn't affect tents for small children or beach umbrellas. Other towns like Seaside Heights and Long Beach Island have enacted similar restrictions. The borough council will discuss the proposal at its next scheduled meeting in September.